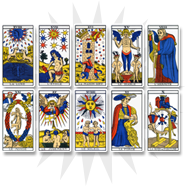 The Queen of clubs is not necessarily a good omen. It represents a dark-haired woman whose objectives are quite contrasting. Indeed, she can be malevolent and can announce a form of jealousy from one of the consultant’s relatives. This woman covets your professional, familial or romantic situation and may become harmful. 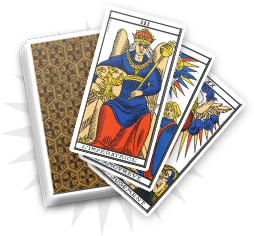 To interpret this card’s complexity, the clairvoyant has to refer to the other cards from the reading. When associated to diamonds, the Queen of clubs evokes a rich selfish friend. When associated to spades, she depicts a malevolent person full of bad intentions. But when associated to hearts, she announces the visit of a friend with whom the consultant shares a lot of things. 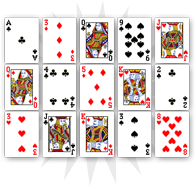 The Queen of clubs refers to a form of selfishness that could harm you in the next few weeks. In love, beware of the jealous people who could harm you. On the professional level, it could be a dark-haired woman who could harm you just because of her individualism. 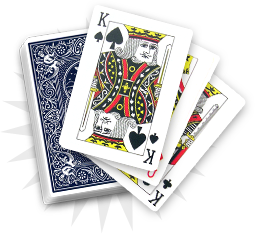 The Queen of clubs refers to someone from your entourage who could harm you. Figure of individualism, this card shows a form of toxic jealousy. Stay careful in your professional and romantic circles, as someone will harm you for his/her own interests.